A behind-the-scenes peak into our work ethic and patient-centered philosophy makes all the difference when deciding in who's hands to entrust your smile and oral health. 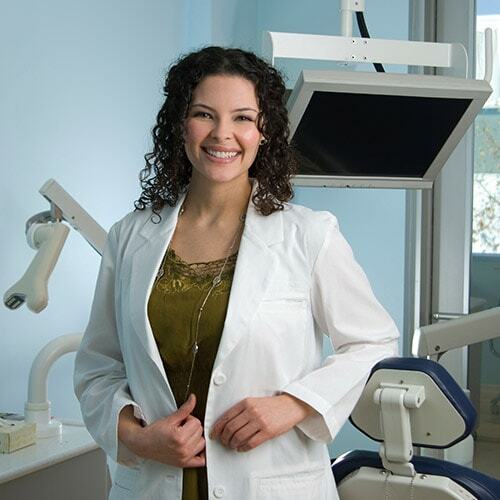 See how our gentle solutions and expert smile design vision can change your life for good. First, the getting-to-know-each-other phase. We sit down with you to get to know who you are and who you aspire to be. What makes you want an enhanced smile? Is it to get a better job? Improve your personal relationships? For an upcoming wedding? Whatever your aspirations are, we will listen carefully without interrupting, and without lecturing. While we go over your treatment options, we will always focus on your overall health, making sure that your beautiful smile and oral health will last for decades. At the Center for Dentistry and Orthodontics, we want to get to know you, the beautiful person behind the smile not only as a patient, but as family. Contact us today to join our family. Our staff are the most courteous, professional people you will meet. For us, dentistry is about the relationships we forge and the wonderful people we help. Our entire team works as your partners in achieving the smile you want and we don't rest until it's just right. At every phase and visit, we will gently overcome your barriers and provide a level of dental care like you've never had before. We know your time is valuable. We are experts at what we do and meticulously monitor our schedule so that waiting times are an absolute minimum. We've said it before and we mean it: you are our #1 priority. You'll be delighted to see that our office design and chair-time techniques reflect this ideal. True, dental treatments are not always predictable. Although we do believe that everyone deserves the same high level of attention, sometimes emergencies come up and as your dentist in Stevens Point, we must rise to the occasion. When these scenarios arise, we will be open and honest with you about why and how long the expected delay will be. "I think I'm ready to meet you guys!" We would love to get to know and help you achieve your smile goals! How do we reach you? "What can you do to improve my smile?" We offer preventative, cosmetic, and orthodontic care under one roof.